Fernando Castro winery is producing very economic wines in bottles and BIB (less 1 EUR) in a very good quality. Wines such as, Syrah, Cabernet Sauvignon, Tempranillo, Viura and Sauvignon blanc. We can customize each order to suit your needs. Furthermore, we can produce your own label on the bottles. 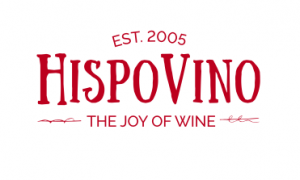 For more information please contact us at info(at)hispovino.net and we will be happy to assist you. Bodegas Fernando Castro was founded in 1850, thanks to the ancestors of the present owners. Over the years this cellar has become the oldest of the region run by the same family. We are proud or our tradition, but conscious that innovation is absolutely important in a modern cellar and as well as traditon, modern equipment are basic to obtain and guarantee the best quality. Vineyards: up to 170 hectares located in “Finca Los Altos” (Valdepeñas, Spain) are supervised by the members of Castro’s family. The grapes obtaines are Tempranillo for the red wines and Airàn for the white wines. Valdepeñas area, where the cellar is located, has an extension of approximately 1500 kmq. It is located in the middle of the region of Castilla La Mancha and it is worldwide considered as the best wine production area of this region. Since 1968 it has got its own DO (Denomination of Origin) to supervise the quality of the production.